Ideas about resilience and identity continue to be promoted, discussed and debated in nursing. This book uses narratives to explore these complex and important concepts, unsettling our certainties and opening up new perspectives on what they might mean and involve. This engaging book recounts direct and vivid stories told by or about nurses. These vignettes discuss nursing’s ideals without idealising them and show nursing work and the life of nurses in all its complexity. They include contributions from mental health nurses, a former nurse, student nurses, a migrant nurse, a military nurse and a whistle-blowing nurse among others. The book ends with chapter-by-chapter contextual material to promote reflection, discussion and further reading. 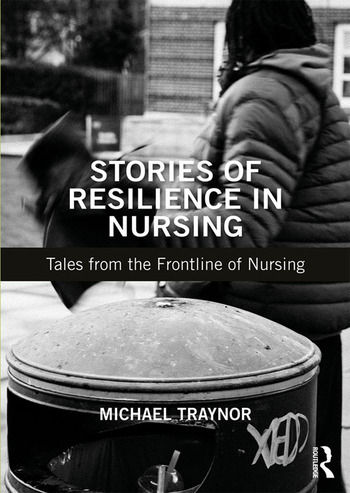 Written with nursing students preparing to transition to the workplace and professional status in mind, this thought-provoking book is also suitable for nurses and nurse academics interested in resilience and issues around professional identity. Michael Traynor is Professor of Nursing Policy at Middlesex University, London, UK, where he works in the Centre for Critical Research in Nursing and Midwifery.